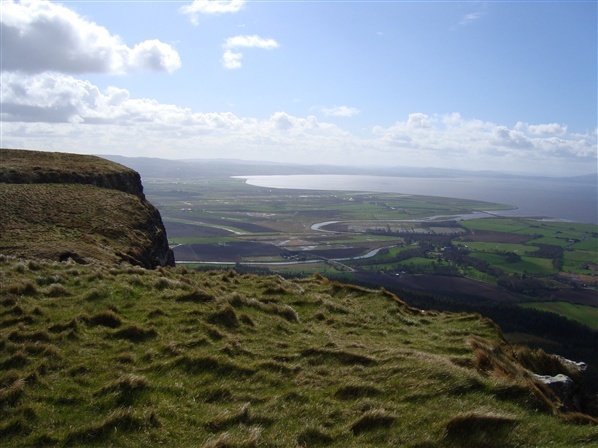 My First Hill Walk: "Binevenagh"
I remember stepping onto the platform at Castlerock one sunny weekday morning in June 1997. As the train pulled out of the station to resume its journey towards Derry, I pulled OSNI Sheet 4 out of my rucksack. It was the beginning of my very first hill walk, and I’d chosen Binevenagh as the day’s main objective. After studying the map for a few minutes, I set off from Castlerock station to follow the coast westwards. From memory, I was wearing a pair of black combat-style trousers and a rust-coloured Burtons t-shirt. It was the first time I’d worn walking boots, and I was a little bit worried about getting blisters from them. The Millet’s price tag had only recently been removed from my new Eurohike rucksack which contained a Peter Storm fleece, waterproof coat and over-trousers. Lunch was in there too, along with two bottles of water. I was on my own – I didn’t know any other hill walkers back then – but I felt reasonably confident about what lay ahead of me that day. My fitness levels were adequate for the expedition and my map-reading skills were reasonably good. 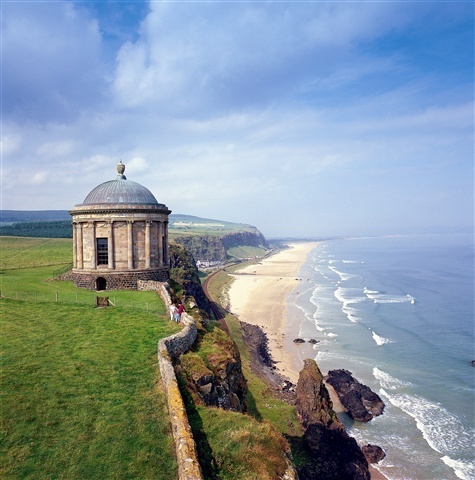 The first section of the route passed Mussenden Temple – perched spectacularly on a cliff top overlooking the beaches of northernmost County Derry. After passing through the nearby ruins of Downhill Palace, I continued along the main road towards the entrance to Downhill strand. From there, a steep road led upwards to Gortmore viewpoint. By that time it was getting hot, and there wasn’t even a breeze. The back of my Burtons t-shirt was completed saturated with sweat and stuck to my back each time I removed my rucksack. I should have invested in one of those “technical” t-shirts I’d seen in Millets when buying my other kit a few days earlier. At Gortmore viewpoint, I stopped for a while to admire the scenery below. Comparing the actual landscape to the map in hand, I identified the cliffs of Binevenagh a couple of miles to the south-west. A faint rumbling sound drew my eyes towards the lower ground beneath the cliffs. There I spotted the train on its return journey from Derry back towards Belfast via Ireland’s longest straight section of railway – which just happens to cross Ireland’s largest coastal plain. When I arrived at the top of Binevenagh, it was time for lunch. I ate my sandwiches close to the cliff edge and just admired the view for a while. To the south-west, the meandering River Roe eventually found its way through crop fields before entering the sea at Lough Foyle. To the north-west, the Magilligan peninsula stretched out across the mouth of the lough stopping less than a mile short of County Donegal. Following the cliff top in a north-easterly direction along a grassy path, I descended through the forest to the base of the cliff. Passing Saint Aidan’s church along the way, I finally arrived at the finish point – Bellarena railway station. In the distance, perhaps two miles away, the approaching Belfast-bound train was just a dot on the flat horizon. A few minutes later, it pulled up at the station. No passengers got off, and I was the only one getting on. Much of the route I walked that day followed the old Ulster Way, which has since been revised slightly for the new version launched in September 2009. I’d enjoyed the walk so much that I decided to continue along the Ulster Way to Dungiven – a section I completed over my next two walks that same week. Although my interest in hill walking has since taken me all over Northern Ireland, and beyond, Binevenagh is still one of my favourite walking locations. Click here for details of the Dungiven to Castlerock section of the Ulster Way. While some people regard hill walking as a never-ending peak-bagging challenge, others see it as a pleasant way to keep fit in the great outdoors. For most, a view from a cloudless summit is the reward they hope to find at the end of every climb. To me, hill walking is about all of these things – and more. Sometimes it’s about the peace and tranquillity of an isolated valley, while other times, it’s about the social experience of being part of a walking club. Most importantly, it’s about escaping the humdrum of everyday life and getting some fresh air into the lungs. 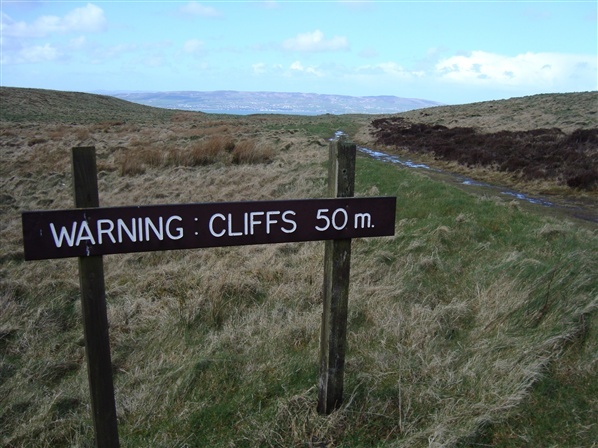 Click hear to read Kieron's latest blog 'Northern Ireland's County High Points'. I think I've made all the same mistakes...and more. Binevenagh looks great, I'll put it on my list & keep an eye out for more posts. 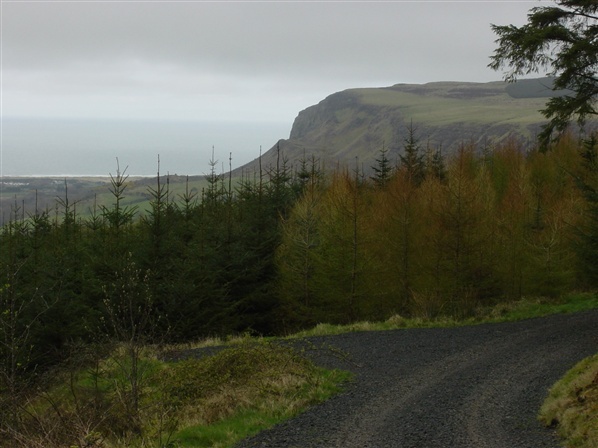 I myself love Binevenagh, its not the biggest of mountains but offers a mix of forest tracks,cliff top paths and open moorland walking with spectacular scenery. I love the picture of the church toward the end of your post. It really captures the feeling of this place. The old and new together is what is typical of Ireland. I am looking forward to my next visit. Would you please provide way more information on this issue?? By the way your blog is amazing. Oh my , the views are breathtaking. Living on high ground really has some perks when it comes to views. Great adventure blog Kieron, walking on a platform at the castlerock is challenging. I really love your photos, it was a relaxing and nice view, amazing. All the pictures above is really an eye catching view, The relaxing and breath taking view of those picture is fantastic. By the way hiking on the platform at Castlerock is a great adventure and experience. My name is Lucy, I work for The Outdoor Shop (www.theoutdoorshop.com), and we are one of the country’s leading independent retailers of technical outdoor clothing and equipment. We’re looking to raise our online profile on trekking, climbing and mountaineering sites that our clients and staff love to read. We are especially keen to write guest blogs or articles about some of our experiences and the best equipment to use in certain situations. We think we would be able to supply your readers with interesting information and stories. Can you let me know if there are any guest blog or article opportunities on your website? Or indeed any cost effective advertising opportunities. If you are interested, please do not hesitate to get in touch.